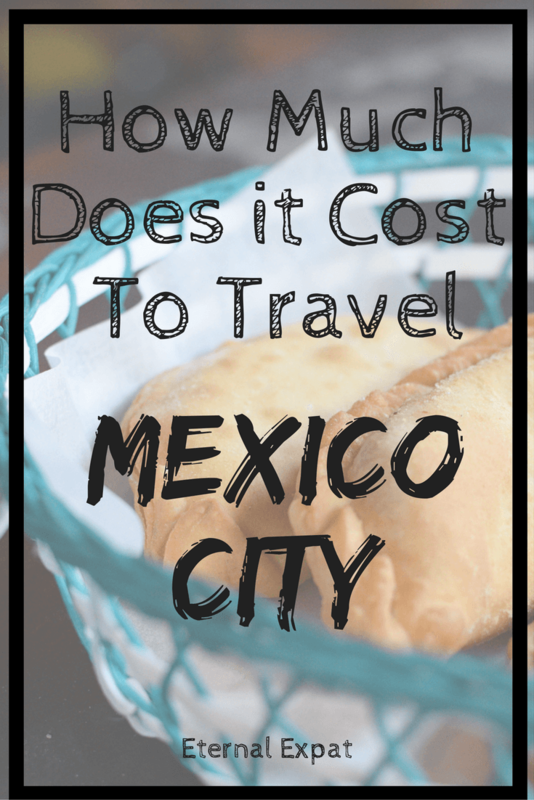 How Much Does it Cost to Travel Mexico City? Mexico City is somewhere that is not only cheap to live, it’s cheap to visit, too. The cost to travel Mexico City is well below that of other places I’ve visited in the country like Cancun, Playa del Carmen, and Tulum. Not only is it far cheaper, dare I say, it’s more authentically Mexican than the resort areas. Just a word of advice about money in Mexico City – Mexicans use what most of us know as the dollar sign ($) to denote pesos. You’ll see prices listed on menus around the city like this: $150 // $80 // $25. This is the price in pesos. Almost nowhere in the city will accept US Dollars except maybe international hotels or tourist shops. How Much Does Coffee Cost in Mexico City? A medium latte at Starbucks (grande) costs 46 pesos or $2.25. A specialty brew at a cafe in Condesa will cost between 30 and 45 pesos ($1.50-$2.25). There are tons of street vendors selling Cafe de Olla, a traditional Mexican coffee with cinnamon and sugar cane. You can get a cup of this for as little as 15 pesos (75¢). How Much Does Water Cost in Mexico City? It’s advised that you don’t drink the tap water in the city. I have friends who have lived here their whole lives and are fine with the tap water, but I’ve read enough about the water situation in the area to not want to drink it myself.At least boil it first. I do however use it to make coffee and tea and to cook with everyday and haven’t had a moment’s bother. Big 1.5L water bottles cost about 13 pesos (60¢). You can buy really big 5 gallon jugs for about 40 pesos ($2) which are recycled (a rarity in this city unfortunately). Once you finish it, return it to any shop that sells it and pick up another.
. I bought it just before moving here and use it every single day. Simply fill it with tap water and as you sip it through the straw, it filters the water (and not just metals like a Brita filter). The straw is good for up to 1,000L which is basically forever. I drink about 2L of water a day, so it should last me about a year and a half! How Much Does Food Cost in Mexico City? 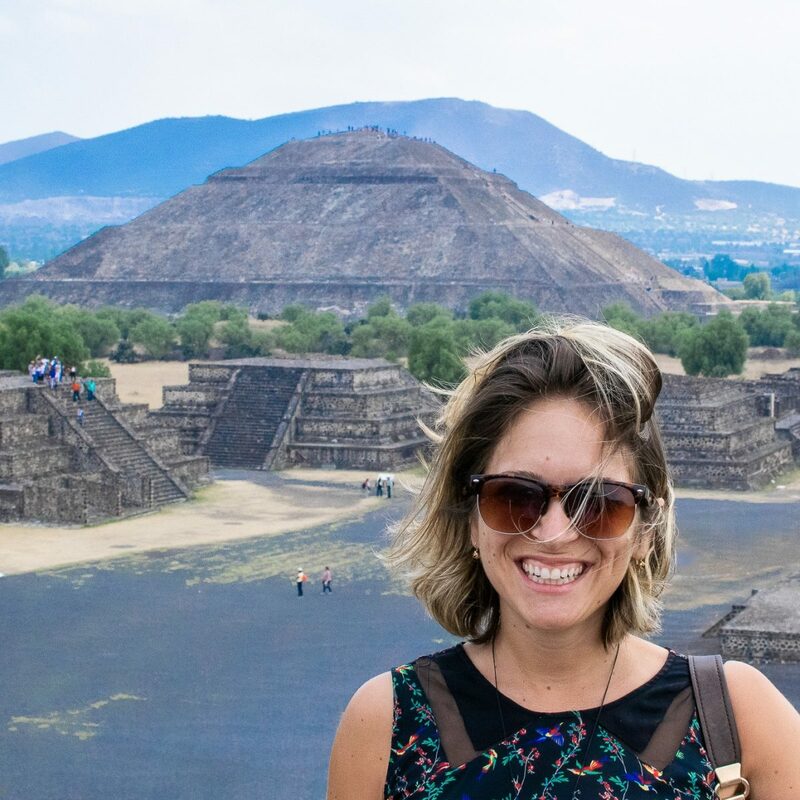 If you want to see how much I spend living day-to-day in Mexico City, check out my monthly budget breakdown posts. As a visitor, you’ll probably be more interested in the tacos, taquitos, and tostadas than you will be in stocking up on produce at the local tianguis (although I highly recommend visiting a weekly tianguis). Street food in Mexico City is some of the cheapest I’ve ever bought. It’s cheaper than Vietnam, it’s cheaper than Thailand, it’s definitely cheaper than food in Laos. I’ve eaten tacos for 7 pesos each (30¢), had a plate full of meaty flautas topped with shredded lettuce, cheese, and salsa for 20 pesos ($1), and gobbled down enormous bowls of pozole for 35 pesos ($1.80). If you do want to self-cater while you’re visiting the city, produce is incredibly cheap compared to places like the USA, UK or Australia. At my local weekly market I buy bags of fresh, ripe mangos for $1, potatoes and onions for even less. You can get a bag of rice for 10 pesos (50¢) or pasta for 3 pesos (15¢). Be sure to try some nopal, the flat, oval-shaped green cactus most commonly eaten in this part of the country. 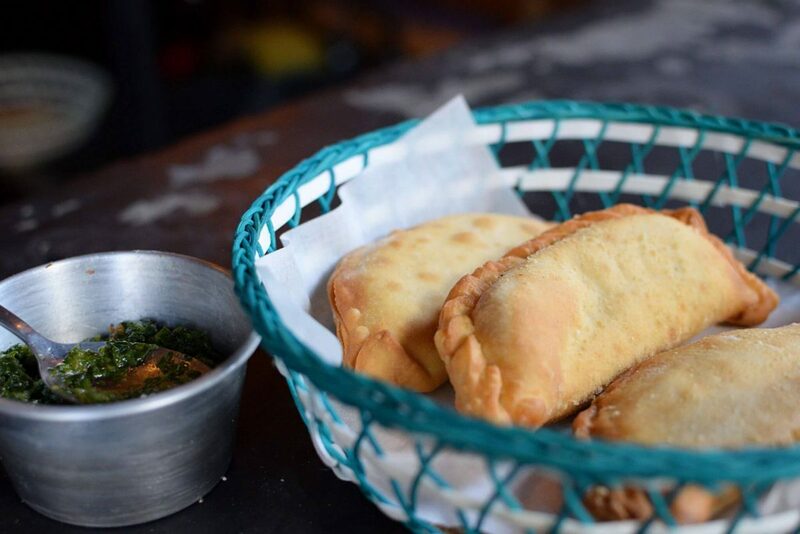 If your budget is bigger, most restaurants are still relatively inexpensive. A popular chain that I’ve fallen in love with is La Casa de Toño. It’s known for it’s pozole, but they have all kinds of traditional Mexican food. You can eat here for about 100 pesos ($5) per person, including drinks. How Much Does Accommodation Cost in Mexico City? Although living here, we don’t stay in many hotels or hostels, I’ve done enough research for family and friends of varying budgets that I have a pretty good idea of the range of accommodation in the city. It’s probably going to be your biggest outlay when you visit the city. It’s not as cheap as most other things in the city, but you can still get a bargain for sure. I always recommend AirBnB first. I prefer to spend a few more dollars a night to have my own place, or to have a room in someone’s home who can give me the best local advice. If you aren’t already a member of AirBnB you can use this link to get $35 off of your first stay (I get a small credit for referring you). Hostels in Mexico City are definitely the best budget option in the city and there are some really nice places in the center. Mexico City Hostel has the best reviews and some of the best prices. It’s also incredibly well located – right near the Zocalo, or central square. You can get a bed in a 12 person dorm for 190 pesos ($9.50) or a private room for one for 400 pesos ($20). I’m working on a ’boutique hotels in Mexico City’ post that I’ll link to on this once it’s live, but I’m in love with Chaya B&B. If you don’t mind splurging a little and you want more personality than the boring chain hotels, you can’t do any better than Chaya. The location is one of my favorites in the city. It’s in an art deco building in the historical centro and one of the best rooftop bars is just one flight of stairs away. Rooms start at $100 USD a night. How Much Does Beer Cost in Mexico City? What kind of beer do you want to drink? At the local Oxxo (like a 7-11), a 12 pack of Tecate or Indio costs 120 Pesos ($6). 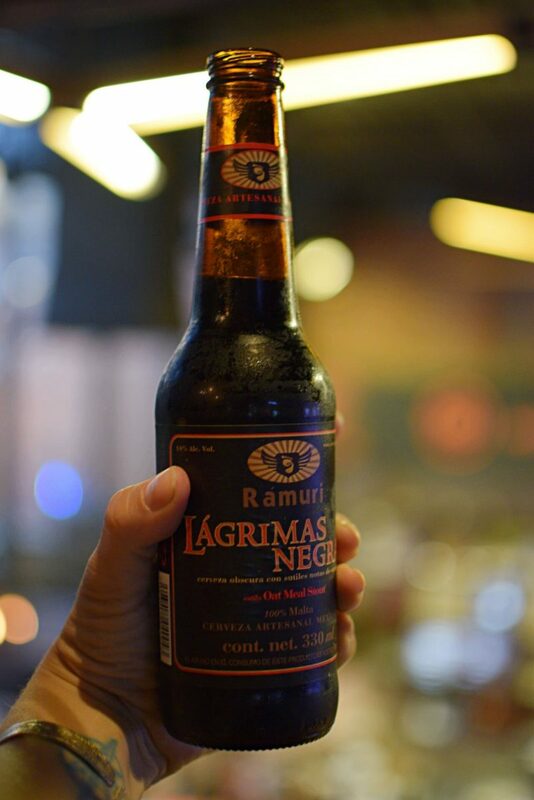 Similar quality beer at a bar costs between 25 and 40 pesos ($1-$2) for a bottle. If you want to try some Mexican craft beer, you’ll pay double. I’ve never paid more than 100 pesos ($5) for a beer, even a craft beer. The only beers that tend to be more than $5 are the international imports. If you want craft beer from the US, Canada, or anything from Europe, you’ll pay much more. How Much Does Transportation Cost in Mexico City? I’ve never been in a city with cheaper taxis. My number one choice for getting around the city is Uber. It’s the safest, most reliable way to get from one place to another, especially if you’re Spanish isn’t great. Uber tends to be slightly cheaper than local taxis that you hail in the city. Also be aware, no taxis in Mexico City have meters. At least I’ve yet to see one. Either ask the driver how much it’s going to cost before you get in, or be surprised once you get there. There are tons of public transport options in the city. The Metro line can get you almost anywhere and costs about 5 pesos (25¢) per ride. Avoid it at rush hour when it’s known for pickpocketing and serious overcrowding (watch this video if you don’t believe me). There’s a metro-bus that runs down the main street in the city, Insurgentes. These buses have their own lane and are one of the fastest ways to go from North to South (or vice versa). Regular buses run all over the damn place. Some are white and pink, some are red, some are green. Simply ask the driver if it’s going towards where you want to go. They cost between 3 and 5 pesos. Most museums in Mexico City have a small entry fee. The Chapultepec Castle, which is also the history museum, costs 65 pesos ($3.25). The Frida Kahlo Museum is 120 pesos ($6). The National Art Museum is 60 pesos ($3). Those are some of the more expensive places. Needless to say, the big ticket sites in the city won’t break the bank. Souvenirs are available in abundance at any market in the city. Haggling isn’t really part of the culture, although you can try to get 10-20 pesos off if you want. My favorite markets in the city are Mercado Artesanal Mexicano in Coyoacan and El Bazaar Sabado in San Angel. Did I miss something? What do you usually buy when you travel? Let me know in the comments and I’ll tell you how much it costs in Mexico City! You know, I’m quite surprised by how cheap Mexico City appears, that’s pretty fabulous. What about a backpacker daily budget? Do you think you could get buy on the $30 standard minimum if you tried? Or would more be needed? I also love these posts! I was really surprised too – not only is it incredibly cheap, but it’s actually cheaper than most other places I’ve visited in Mexico. I think you could definitely get by on $30 a day if you stayed in a hostel dorm. Food is incredibly cheap and there’s tons of sightseeing to do for free! Oh I’m still in the ‘hostel dorms don’t phase me’, phase, so that’s awesome! Your new layout here is pretty slick too, I’m likin’ it. *Faze. My English mutates at 3am. Thanks so much! You’ll definitely be able to keep it under or around $30 a day then! This is fab! I’m just about to move to CDMX and I am so excited!